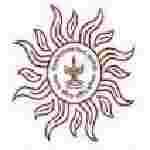 Maharashtra PSC Dept Head recruitment 2016-17 apply for 14 posts : Maharashtra Public service commission (MPSC) welcomes application for the Post of 14 head of the department vacancies in government poly – technic, Maharashtra Polytechnic, Teachers service group – A, Higher and Technical department. Candidates who completed their Degree, Master degree, Ph.D is a good opportunity.The individuals who are the occupation seekers searching for govt employments in Maharashtra this is the best chance to apply. Competitors read the official notification then read all the guidelines and miners precisely then apply before the last date online application got. All the interested and eligible candidates can apply Online Before 18th August 2016. Educational Qualification for the Job: Degree, Master degree, Ph.D. Candidates Age Limit: The age of the candidate should not be less than 50 years and should not be more than 55 years. The age of the candidate should be as on 1st November 2016. Academic Qualification Details: Candidates should have bachelor degree and master degree of appropriate branch in engineering / technology with first class or equivalent either at bachelor or master level and minimum of 10 year relevant experience in teaching / research / institute or master or bachelor degree and master degree of appropriate branch in engineering / technology and first class or equivalent either at bachelor or master level and Ph.D. or equivalent in appropriate discipline in engineering / technology and minimum of 5 year relevant experience in teaching / research / industry. Details of Fee particulars: All the interested and eligible candidates are need to pay application fee Rs 523/- for un – reserved category candidates and Rs 323/- for reserved categories candidates in the form of SBI Challan/ online payment / debit card / credit card / net banking / CSC (Challan Service Centre). Official website: All the interested and eligible candidates can apply online through official website of Maharashtra Public service commission www.mpsc.gov.in from 29th July 2016 to 18th August 2016.